I am writing as County Councillor for Woodbridge to comment on the above planning application to develop the former Council Offices, Melton Hill. • The impact of the planned development ion the traffic in the town. At 99 parking places for the 100 units there is not enough parking allocated to allow a single car for each of the residential units planned, let alone any for visitors, care workers, deliveries, workman etc. How can overspill parking in surrounding roads be avoided? Woodbridge has an ongoing parking problem. Suffolk Coastal used traditionally to open its 200-place Melton Hill carpark to the public for events in Woodbridge at the weekend. This development is creating a de facto public parking loss. • The impact on the community of all additional traffic caused by Melton Hill’s transition from a residential to a a workplace development. This area has significant and so far insoluble traffic air quality problems. • the fact this design will dwarf the town and overlook all neighbouring housing creating a significant loss of amenity to neighbours in Thoroughfare, Deben Road and Old Maltings, as well as impacting adversely on National Trust’s historic views of the riverside and town from Sutton Hoo . However, in particular, I want to reiterate my extreme concern as to the impact of this planned development on Woodbridge and its surrounding district. As I wrote last year, local people desperately need housing – but not the housing that is being provided by this application. Local people need starter homes, affordable family homes, homes for the disabled and downsizers. Last year, the developer’s excuse for increasing the proposed number of units on the Melton Hill site from 70 to 100 was in order to provide 32 units of much-needed social housing. This new plan reduces this number to only 15 ‘social’ units – while offering 85 units at market price. On the current planning application Suffolk Coastal are listed as owners of the site. I would like to remind the District Council that Melton Hill is held in trust for the people of Suffolk Coastal by our elected and appointed servants. And ‘us’ means each and every one of us, rich and poor alike. I am therefore asking the district council and its planning committee to respond to local need – not corporate greed. I want to put on record my concerns at the propriety of the district council seeking to monetise the Melton Hill site instead of looking at the legacy benefits of providing for local need. 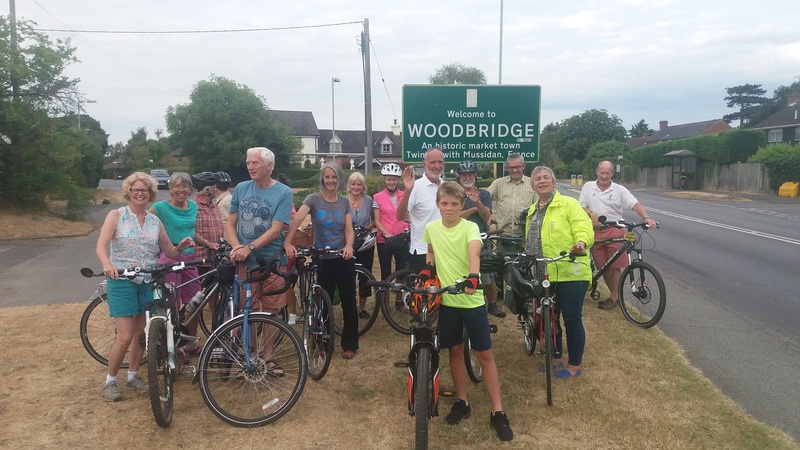 Woodbridge relies on retained firefighters, care workers, shop assistants, young families, the teachers who can’t afford to live near our 8 schools, the working twenty-somethings who can’t afford to leave home, nurses, police, paramedics. Yet in the last decades the town has lost more and more of the key rental sector stock that it needs to support key workers. In order to survive as a working town, Woodbridge needs significant amount of housing at social rental. Suffolk Coastal’s continuing failure to provide this housing is having a cumulatively poor effect on the town’s running, its economy and on traffic and congestion in the area. Development of the Melton Hill site could increase the problem (as it will with this proposed application) or it could provide a strategic, longterm solution. I urge you to look to the latter. In view of all the concerns outlined above I call on the District to reject application DC/18/3424/FUL – Former Council offices, Melton Hill, Melton. Going forward, I ask that it re-evaluate its priorities as to how this site should be developed to address the needs of local residents. Sandy Lane was for centuries a farm track. By the beginning of the twentieth century there were about nine houses here and the horses and carts serving them managed to pass each other. The nineteen sixties saw an exponential growth in the number of houses in the roads adjoining Sandy Lane, all now supplied with mains water, a sewage system, gas electricity and telephones. The volume of traffic grew continuously as the road became a valuable short cut despite the bypass being built to ease the problem. Then came the lorries and heavy agricultural vehicles until we have now reached a stage where this road, with no pavements and scant street lighting, is a positive hazard for pedestrians and children playing at the front of the houses. Cars travelling at fifty to sixty miles an hour can be seen every day. The lorries tear branches off the trees and have hit the arched railway bridge so many times that it had to be repaired not so long ago and now has four large notices asking the public to report any further strikes to the bridge. Almost every vehicle that passes is using this road as a short cut instead of using the nearby bypass. Must we wait for the inevitable fatal accident to occur, or can we avert that sad scenario by taking action now? Speed ramps would do nothing to reduce the volume of traffic : they simply annoy everyone and increase the noise at night while vehicles change gear and accelerate away from them. Narrowing the road might deter heavy goods vehicles but would otherwise be as irksome and ineffectual as speed ramps. None of these “calming” methods will address the real problem which is the increasing throughput of traffic, all of which could be using the bypass built for it. I suggest that Sandy Lane be closed to through traffic at the railway bridge. The railway operators would welcome an end to the bridge strikes and could close off the space under the bridge and let it at a commercial rent with perhaps a hundred feet of road this side of it. The lane on either side of the bridge would then be truly calmed, almost a pedestrian area where we would no longer have to brace the anxiety we face whenever we walk out. I think everyone here has felt uncomfortable walking along this road, particularly at night. Why must our quality of life be compromised because drivers will not use the bypass? I agree that the transition from rural track to road is a horrible issue – as it is in many places in Suffolk. However, I do feel that the residents of Sandy lane, California, Ipswich Road and other parts of Woodbridge would take issue with your notion that in Sandy Lane “almost all traffic is through traffic.” Can you back this up or is it a gut feeling? A lot of residents use it. Thirdly, you seem to object to what seems the only affordable solution to the issue of Sandy Lane (calming), discuss other (unaffordable) ones and settle on one wbich has not been considered, and which is unlikely to be possible. If Sandy Lane has operated as a public right of way for as long as you declare, it would a serious matter to propose to close it. That would mean NO traffic – not just the traffic you did not like. I believe there is at least one business on the Woodbridge side of the bridge. Even if the Suffolk Highways department would look favourabky on closing one of onky six exits to the town, one would need consensus from all local users. Do you think one would get it? I am thinking eg of the residents of California who would be impacted by this decision.